Can hold up to 20lbs! 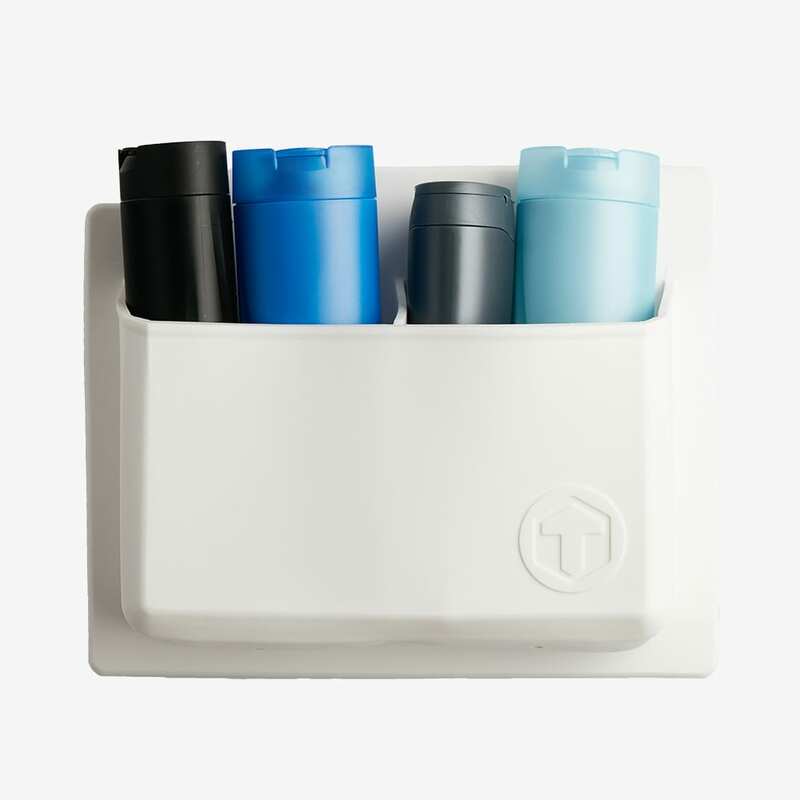 Tooletries’ Dual Pocket Organizer offers a convenient instant storage system for your bathroom, shower, kitchen and laundry. 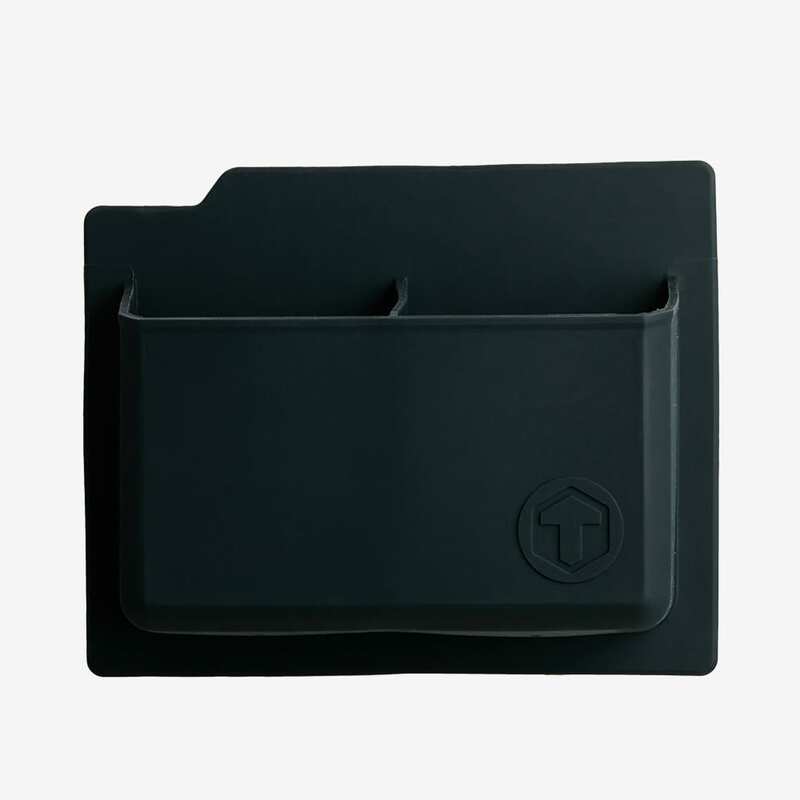 Designed for long lasting performance and reusable on recommended surfaces. 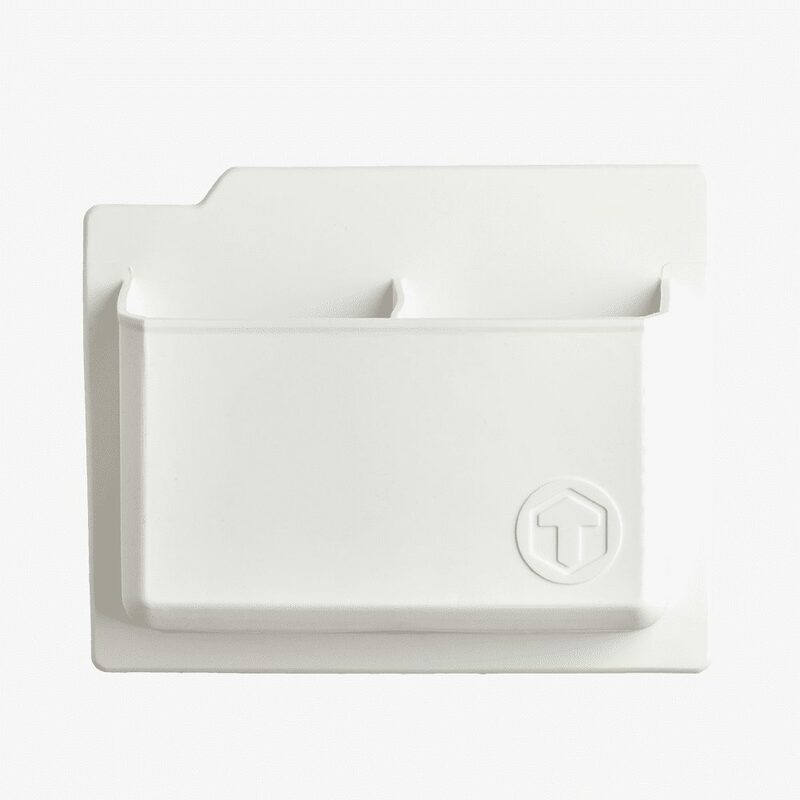 Waterproof silicone with custom drainage holes allows for excellent use in the shower. 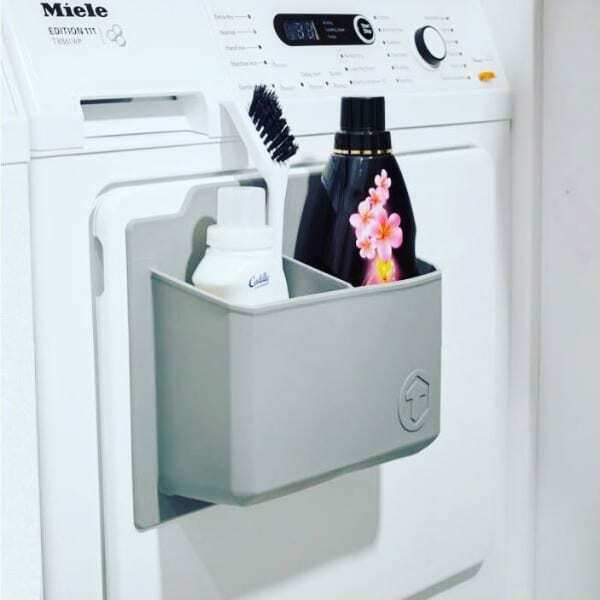 Creates new storage space on your washes & dryer. Stores detergents, cleaning agents, cloths and cleaning utensils. 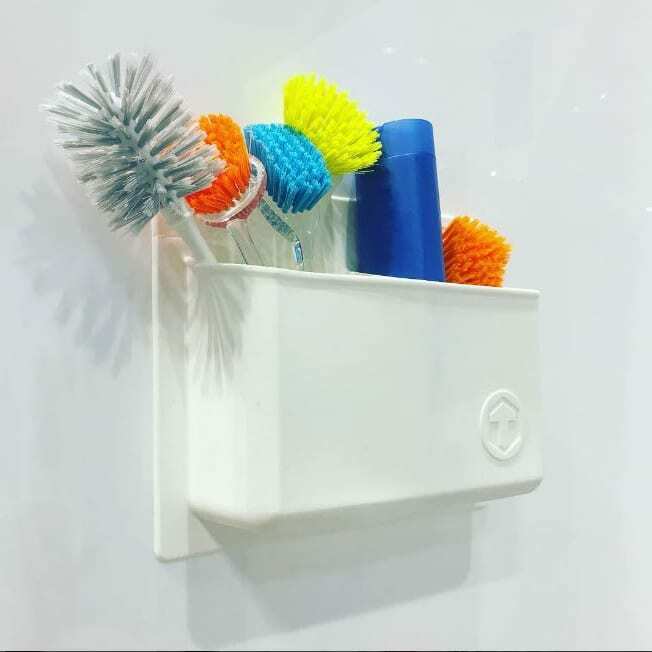 Declutters your bathroom sink or vanity and frees up counter space. Stores shampoo and conditioner bottles for easy access in shower. 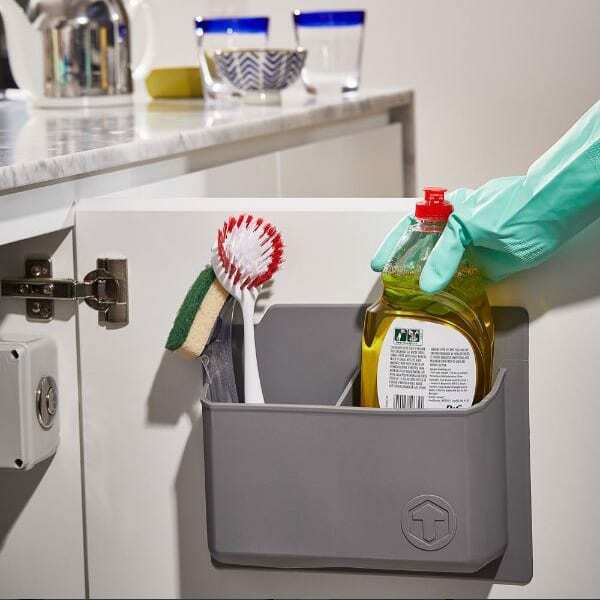 Designed to store cleaning products, kitchen utensils. 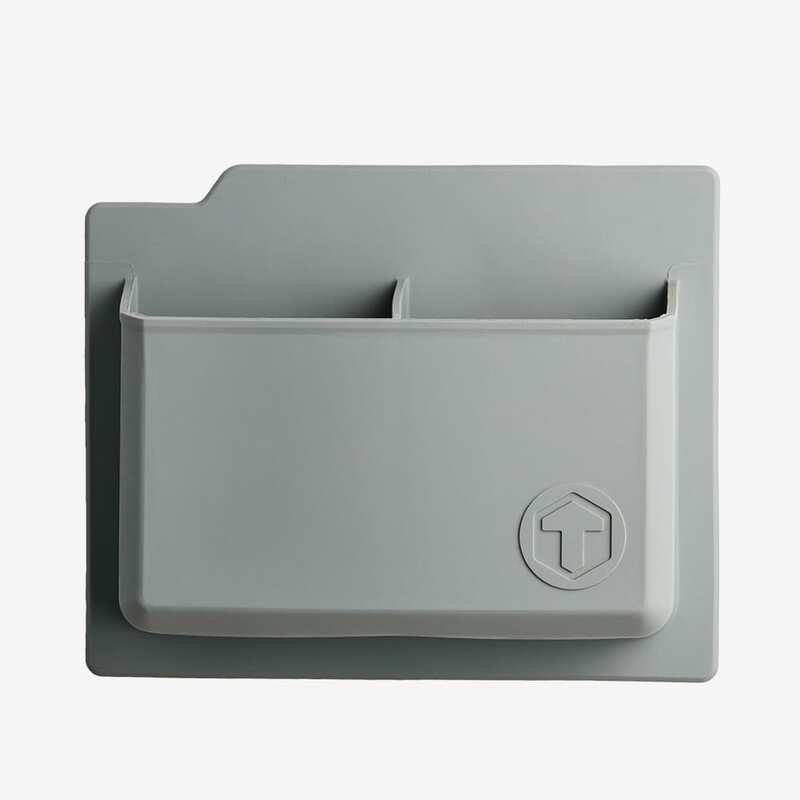 Creates instant storage on metal splash backs, glass, marble – even the fridge!